Ram is sending 14 PHEVs to San Francisco for a three-year testing program. Usually when you think of trucks, that last thing that comes across your mind is a hybrid, or anything close to the term hybrid. Chrysler is launching an evaluation program for their new plug-in hybrid electric vehicles (PHEV), and their new testing subject is the PHEV Ram. The Detroit automaker&apos;s new program involves sending roughly 140 of the PHEV Rams to cities around the U.S. beginning with the City by the Bay, San Francisco, California. 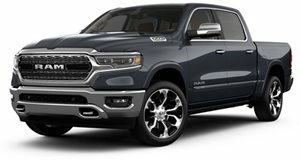 The Ram is equipped with a liquid-cooled 12.9kWhr lithium-ion battery which is complemented by a 6.6kW on-board charger. This is coupled with a 5.7-liter HEMI V8 and a two-mode hybrid transmission. Chrysler released a statement, saying: "The city of San Francisco will evaluate the vehicles in real-world driving conditions and report regularly to Chrysler Group LLC all driving and charging experiences with the demonstration vehicles." 14 vehicles will arrive on August 2nd in San Francisco for a three-year assessment of performance, efficiency and anything else you could imagine. Chrysler claims the program is only for research, as no plans are laid out to actually produce the vehicles. Chrysler also has plans to develop a fleet of Town & Country minivans armed with the same PHEV technology for the same evaluation tests.